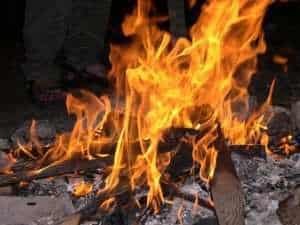 Lag B’Omer is the thirty-third day of the Omer, the seven week period which marks the 50 days between the Jews leaving Egypt and the receiving of the Torah at Mount Sinai. During the Omer religious Jews mark the passing of each day in their evening prayers and during the period many will refrain from large celebrations such as wedding, listening to music, cutting their hair and in general avoid different forms of entertainment. However, Lag B’Omer is a day of celebration and a break from these strictures. According to tradition during the Jewish revolt against the Romans in the second century C.E. many of Rabbi Bar Kochba’s students fell ill and thousands died. On the thirty-third day of the Omer they suddenly regained their health and that’s why the day has become a mini-holiday. Lag B’Omer is also the anniversary of the death of Rabbi Shimon Bar Yochai, the author of the first Kabbalistic work, the Zohar. Back in the 16th century the Ari, a renowned Kabbalist, visited the city of Tzfat and during that time he instituted the customer of visiting the tomb of Rabbi Shimon Bar Yochai on Mount Meron on Lag B’Omer. Added to this in the nineteenth century was the tradition of taking a Torah scroll from the home of the Abu family in Tzfat to Mount Meron. Today this custom continues and each year a Torah scroll is taken to the Central Bus Station in Tzfat and driven to Meron and with that act the celebration of Lag B’Omer begins. Thousands of people from across Israel come together at Mount Meron to pray at the tomb of Rabbi Shimon Bar Yochai and ask for his help in matters such as health, money and peace. Special busses run throughout the day to help accommodate the influx of people and it is not uncommon for hundreds of thousands to make the journey. The result is an experience like no other with singing, dancing, bonfires and parties. Witnessing, and participating, in the prayers and celebrations at the tomb is a truly unique opportunity and one that is well worth having during your gap year in Israel. Even if you have no particularly strong religious feelings it is still a site to behold and great atmosphere to enjoy. Those who choose to take the Selah track on their gap year will visit Mount Meron as part of the programme and learn more about the site and its history. There is also a nature reserve there which is the largest in the north of Israel. There are some stunning hiking paths that will take you up the mountain and on the days before Lag B’Omer many people come to camp out there in preparation for the holiday. In short, Lag B’Omer on Mount Meron presents the perfect opportunity to see hundreds of thousands of people coming together to celebrate in a manner that it totally unique to Israel and it is an experience not to be missed.